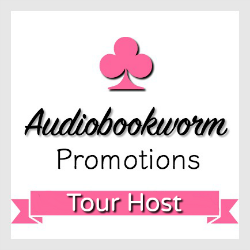 Hall Ways Blog: Chocolate with a Side of Murder ~ ~ Audio Book Blog Tour Review & Audio Excerpt! 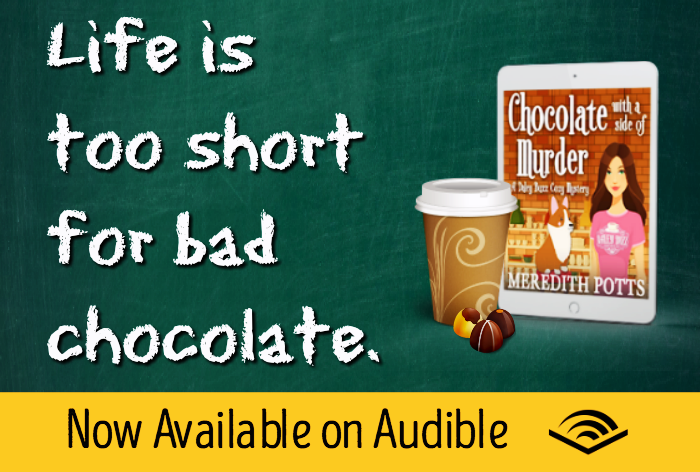 Chocolate with a Side of Murder ~ ~ Audio Book Blog Tour Review & Audio Excerpt! 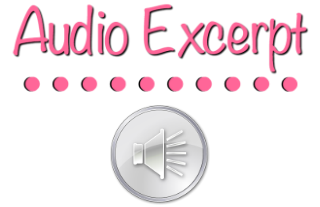 Sign up to her audio book mailing list here and be the first to find out about her newest books. "Not only would they perk up, they would become abuzz." Let’s talk about the coffee because COFFEEEEEEE. 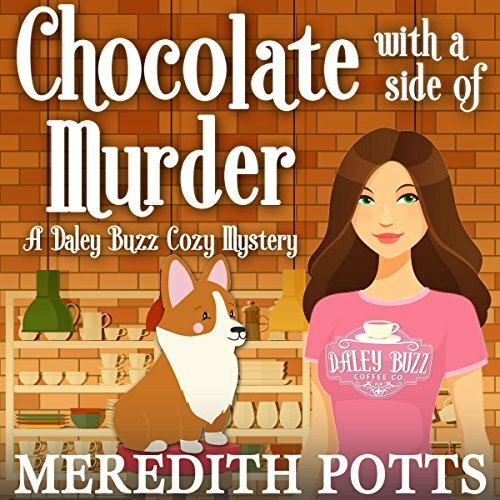 Chocolate with a Side of Murder is the first book in the Daley Buzz Cozy Mystery series, and the Daley Buzz is the cleverly named coffee shop run by Sabrina Daley, our main character and amateur sleuth. I really enjoy the coffee talk about the incredible transformation of people after their morning coffee. (It is for reals. I live it every day.) 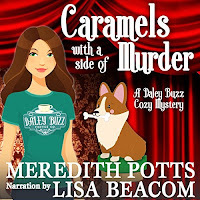 And I loved how author Meredith Potts sprinkled hints of things to come by using plays on words and intentional puns with coffee (and other) terminology. Look out – when Sabrina says espresso seems like overkill for someone to drink, it could have a double-entendre! 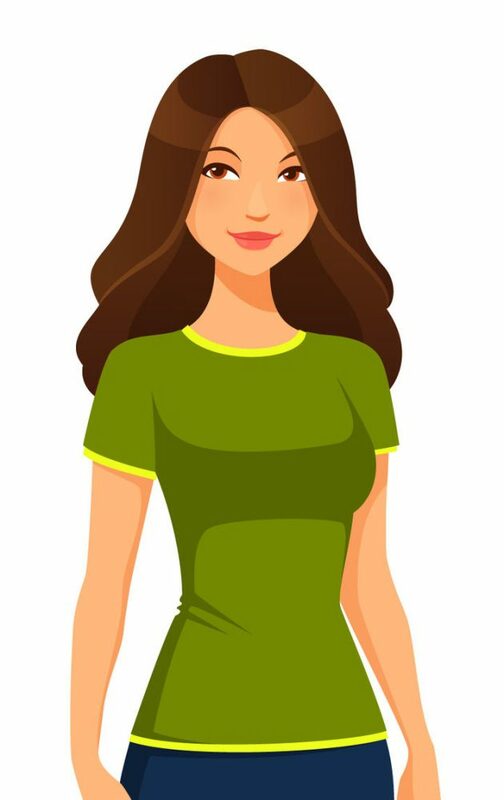 Readers are given a HUGE cast of characters up front, and each is physically described, almost formulaically, with shape of face, hair color and style, skin color, and body type. I still couldn’t keep them straight. More helpful in differentiating is the personalities and backgrounds, but LORD, there is a mess of characters who are recovering or current alcoholics or drug addicts. I had to jot down names of people to keep up, which isn’t convenient when listening to an audio book. The main storyline, the murder of one of Sabrina’s friends, chugs along without a lot of action and primarily through a series of Sabrina’s interviews and interrogations of suspects and witnesses. The more I got to know Sabrina, the less I liked her. She’s a bully, and it is puzzling that people were even answering her questions since she is so rude and abrasive and makes no attempts to draw-out information gently. Though readers know the murder victim is a friend of Sabrina’s, it never feels authentic as to why Sabrina is so driven to solve this murder on her own. 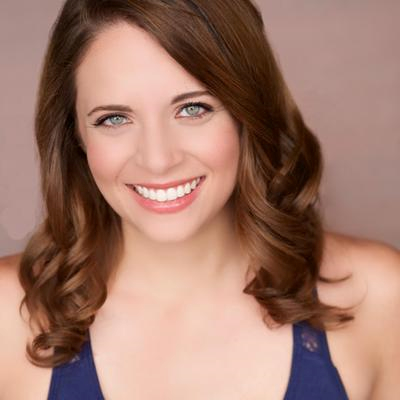 From a crime procedural perspective, readers are expected to believe that, detective boyfriend connection or not, Sabrina would be allowed on a crime scene, allowed to hold evidence, and allowed to basically obstruct justice. There are two secondary storylines also happening in Chocolate with a Side of Murder, and in this first book of the series, they are not resolved. One is the disappearance of Sabrina’s sister ten years earlier, and the other is the mysterious and creepy, possibly haunted, Waterson Estate. Truthfully, I found these two background stories more interesting than the primary murder plot, and the hope that there would be more about them is what kept me reading. Sadly, they are left dangling, so my expectation is that they will be threaded through the other books in the series – I think there are ten books in all. The narration, by Lainie Pahos, leaves much to be desired. The pace was too slow for me (mostly, audio books are), so after the fifteen minutes or so, I listened at 1.25x speed. That helped. The narration was not overly expressive; even in scenes where emotions are raw, Pahos’s delivery is not much different than coffee shop talk. Her voicing of females is fine and there is good differentiation to keep the characters separate, but the male voices were sometimes groan worthy. Those are issues I can deal with if a story is good enough to keep me engaged, but there are also mispronounced words, incorrect words, and repeated lines in several places (mostly chapter 19 and later) that should have been edited out. By the end, some potentially redeeming qualities come out in Sabrina, and that in combination with the interesting and unresolved sub-plotlines (and the FABULOUS SETTING) makes me think I’ll give book two, Caramels with a Side ofMurder, a try. Thank you to Audiobookworm Promotions for providing me a download of this book in exchange for my honest opinion – the only kind I give.